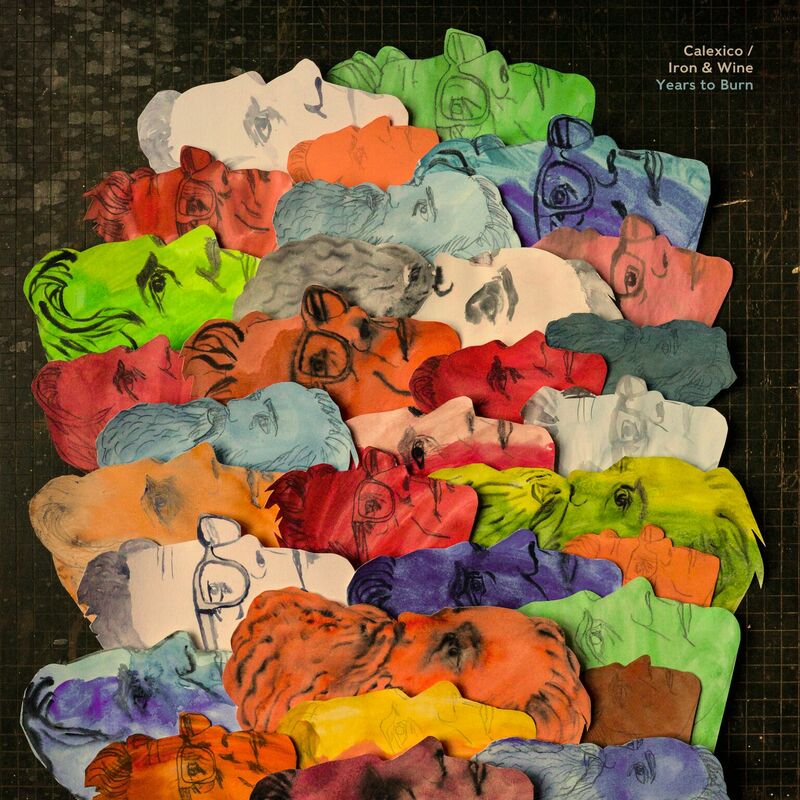 We’ve been talking about getting back together with Iron & Wine for a while and today we’re happy to announce that we have a new album titled Years to Burn which will be released on June 14th via City Slang(UK/EU) and Sub Pop (ROW). We’re offering a variety of pre-order options including limited colored vinyl from City Slang and Sub Pop, standard black vinyl, CD, and via your preferred digital services. John and I spent five days in early December of 2018 hanging out with Sam and playing tunes in Nashville at Sound Emporium with our friends Rob Burger on keyboards, Sebastian Steinberg on bass, Jacob Valenzuela on trumpet, Paul Niehaus on pedal steel and engineer/producer Matt Ross-Spang behind the mixing desk. As soon we started playing together, everything just clicked. In addition to the solid batch of songs, there’s some sonic surprises and twists that will make for a great listen on vinyl. JUST ANNOUNCED! 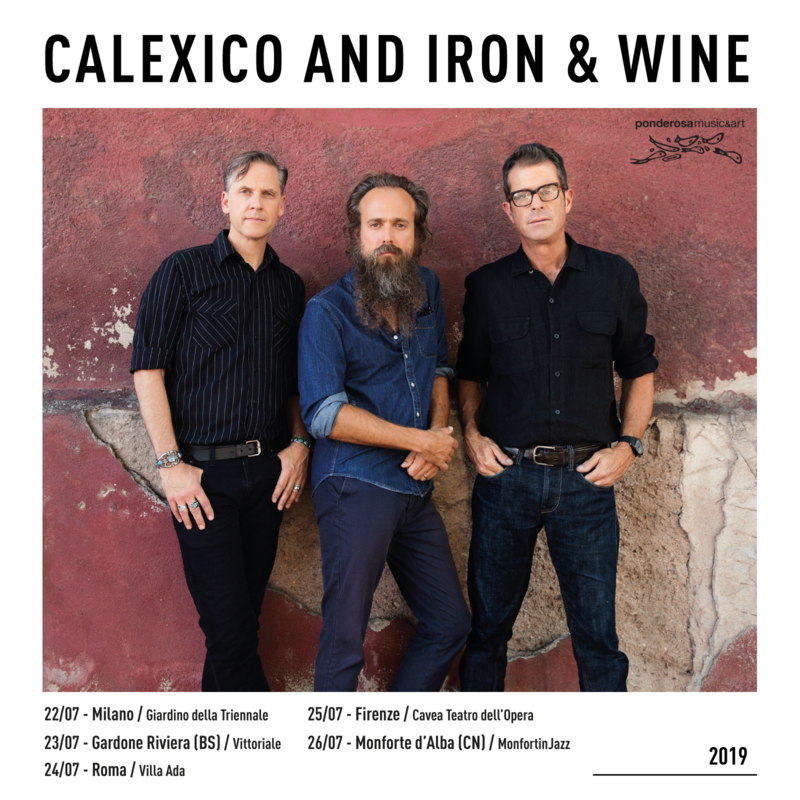 The Calexico and Iron & Wine tour will be headed to Italy in July. Find all details on our TOUR page. 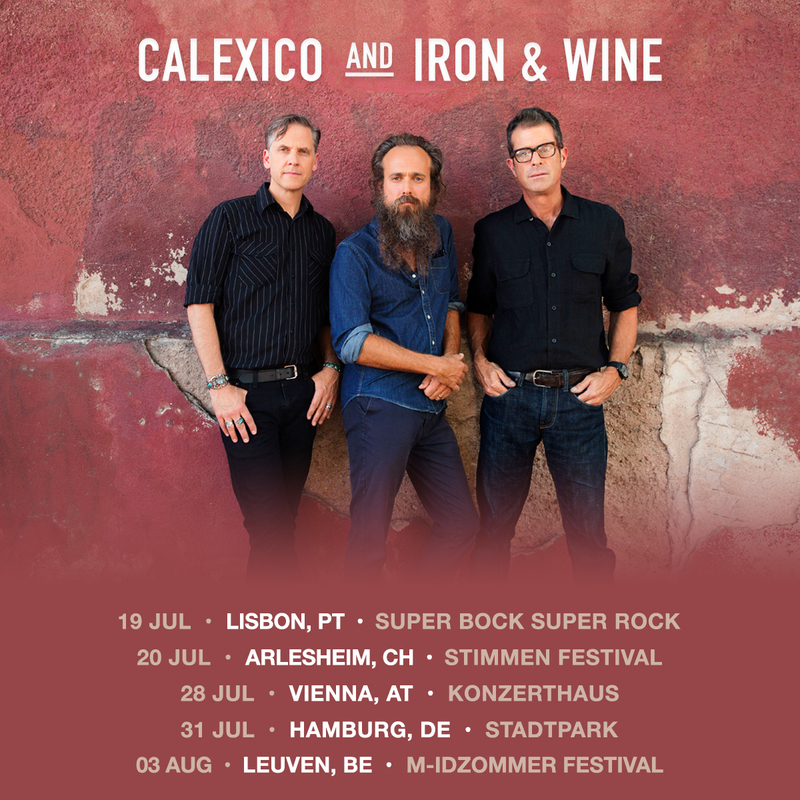 Excited to be playing a few shows with Iron & Wine in Europe this summer. Tickets for all dates are on sale now. Hey Australia and New Zealand! We’re packing our bags and ready to bring our instruments to celebrate the summertime with you. Our first stop will be in Perth at the Rosemount Hotel and we’ll be making our way east looking for good coffee, bookstores and record shops, so send us some of your favorite local spots! 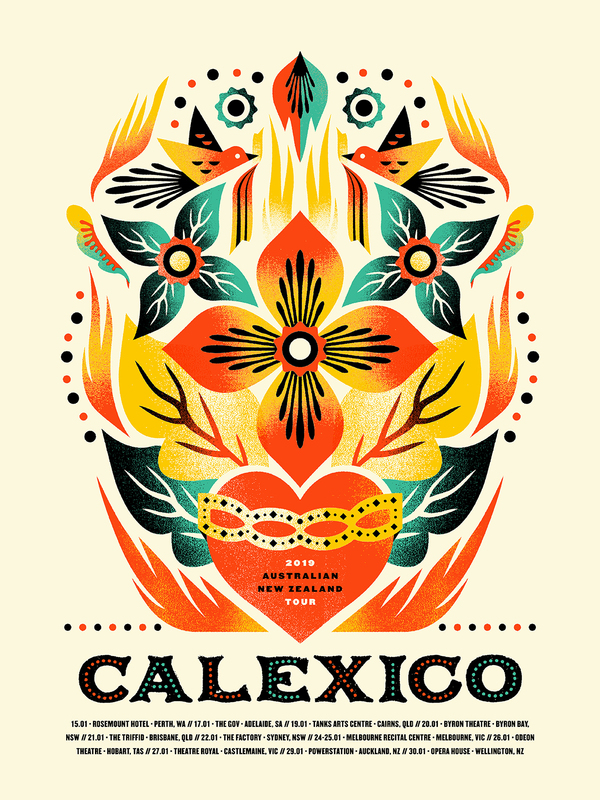 Swing by the merch table to grab this limited edition tour poster designed by Zoca Studio Inc. We’ll see you all soon. 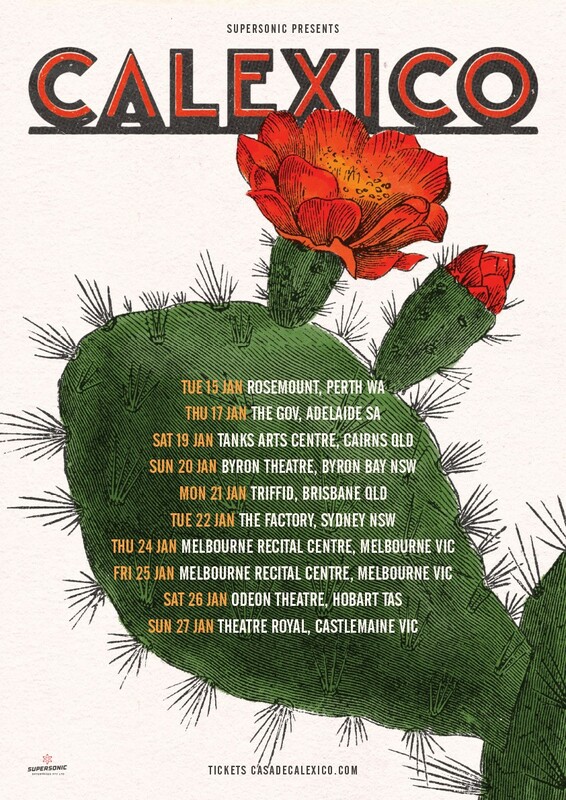 Big news to share from Calexico HQ. We’re pleased to announce the 20th Anniversary re-issue of The Black Light, available November 23 from Touch and Go Records (US) and City Slang (EU). The 20th Anniversary reissue is available for pre-order now, including a special deluxe edition with new gatefold artwork, 180g clear double vinyl, expanded liner notes by Joey and John, and 11 bonus tracks. You can also pre-order the record on double cd, standard black vinyl, and in digital formats. If you’d rather bundle your order – we’ve got you covered with an exclusive new t-shirt featuring Victor Gastelum’s updated art. I’ve enjoyed revisiting “The Black Light” and finding old sketchbooks from 20 years ago. The room sound and space in the performances remind me of the wide open feeling I had when first arriving to Tucson in the early 90’s. It’s a beautiful snapshot in time and place, and filled with heart. I always wanted to build a thrift store orchestra and this is the closest John and I ever got. A lot of it was made up along the way by assembling an assortment of sounds that turned into songs; some of which we exchanged over short but sweet phone machine messages. We couldn’t have done it without both record labels who are still close friends of ours to this day or without the immense help from the extremely talented Victor Gastelum. The community that was so small back then still has that close connection and small-town vibe today. We couldn’t have made it all this way without the listeners and supporters of independent music. Thank you. “The Black Light” is one of my favorites, maybe even my most favorite of all our records. It was the first one we did in the studio, and coming out of the band ‘The Friends of Dean Martinez,’ it was a time of experimentation with a lot of new instruments and what we could do with more than just four or eight tracks. Listening back now, I hear a lot of patience in the mixing and structuring of the songs. We put in long nights in the studio trying lots of different things out. I’m very excited that it has a re-release moment, a chance to show Victor’s amazing art in a different color, new bonus tracks, Joey’s notes – which are a fascinating read – and commentary written by our long time friend Wyndham Wallace. I’m super grateful that there is still so much interest in the record, and the band after 20+ years. Colorado! 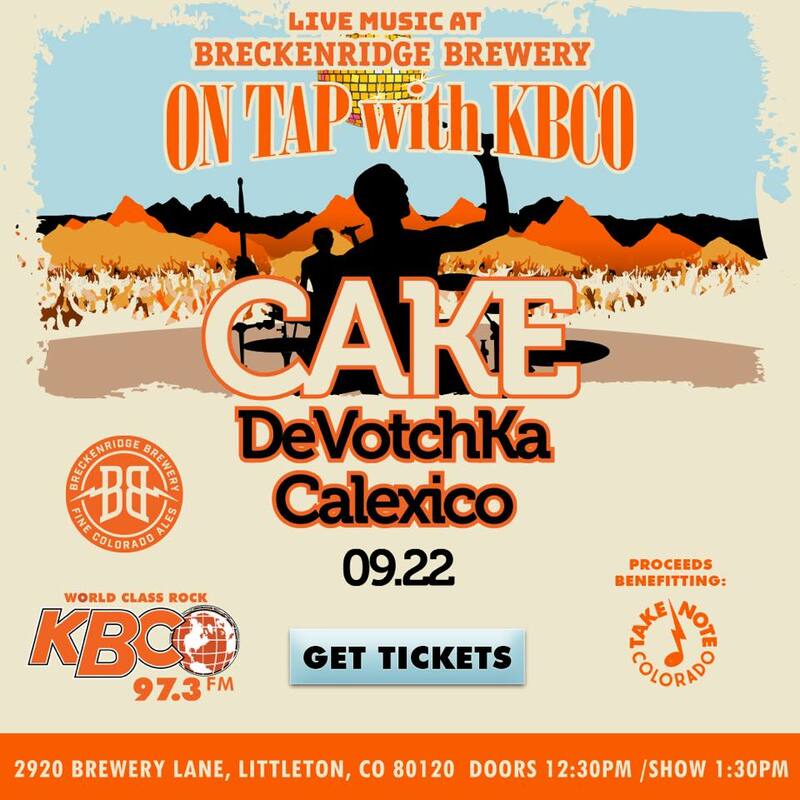 We’ll be performing at On Tap with KBCO: Live Music at Breckenridge Brewery on Saturday, September 22 with CAKE and DeVotchKa. The show benefits Take Note Colorado, which is a statewide initiative to provide access to musical instruments & instruction to every K-12 student in Colorado. See all show details, including how to purchase tickets, HERE. Joey sat down with Reginald Hunter for BBC Two’s special “Songs of the Border.” Watch a performance clip of “Across The Wire” and part of the conversation here. 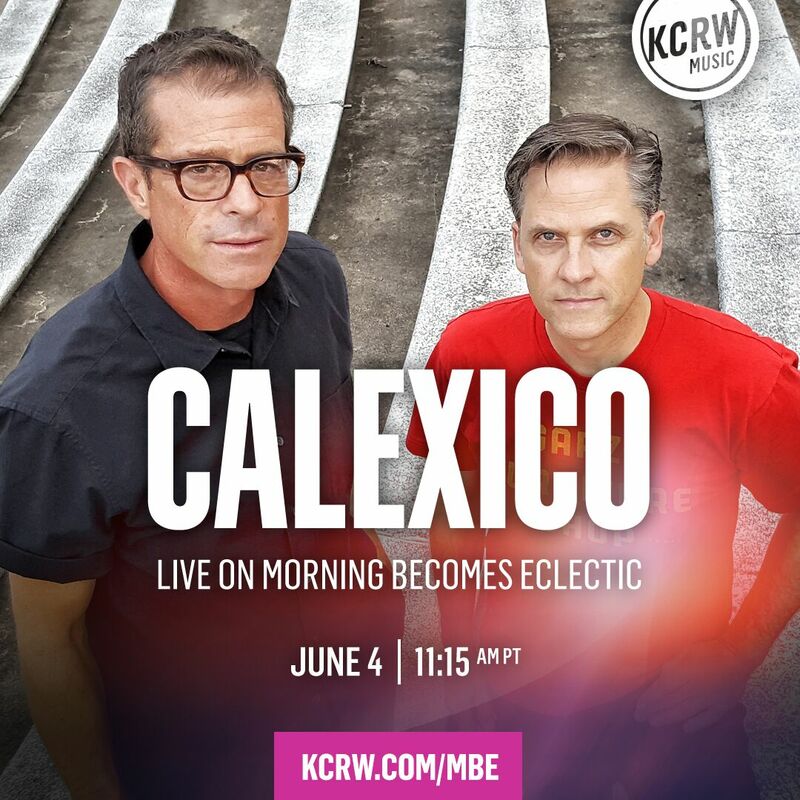 Tune in to KCRW’s Morning Becomes Eclectic today, Monday, June 4 at 11:15AM PT for a live in-studio performance. You can also watch a live stream of the performance on our Facebook page HERE. We stopped by KJZZ Phoenix to perform for their Tiny Desert Concert series ahead of the next leg of The Thread That Keeps Us tour. Watch the performance above and see all upcoming tour dates HERE.